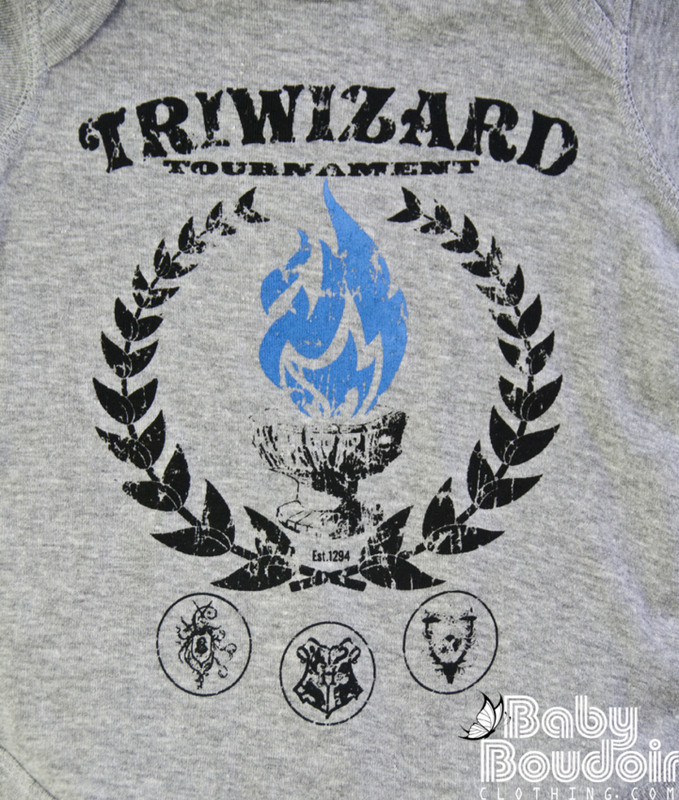 Harry Potter Baby Onesie - The TriWizard Tournament & The Goblet of Fire! Be good Muggles and start the baby off right with a Harry Potter Baby Onesie: The TriWizard Tournament & The Goblet of Fire! Supersoft ringspun cotton Baby Creeper with 3 snap closure. Please indicate the size from the menu above.